Food trucks are becoming popular around the country because of their quick grab-and-go service. Because of this, it should come as no surprise that Ithaca has nearly a dozen food trucks. You won't see many of these trucks downtown, however. The best area to find a food truck in Ithaca is Cornell's campus. Most of these food trucks are spread out, but on Thurston St., two popular trucks are parked right next to each other. Part of the allure of food trucks is their ability to drive to new locations, but "Louie's Lunch" always park at 500 Thurston St. According to Ron Beck, the current owner of Louie's Lunch, "this [Cornell] is the only place this business has ever been." ​"That's How I Roll" divides its time between this location and Collegetown. Louie's Lunch has been around since 1918, but That's How I Roll entered the food truck scene in 2015. Louie's Lunch serves classic American food like burgers, hotdogs and fries and That's How I Roll serves sushi, so the two are not competing for customers despite their close proximity. 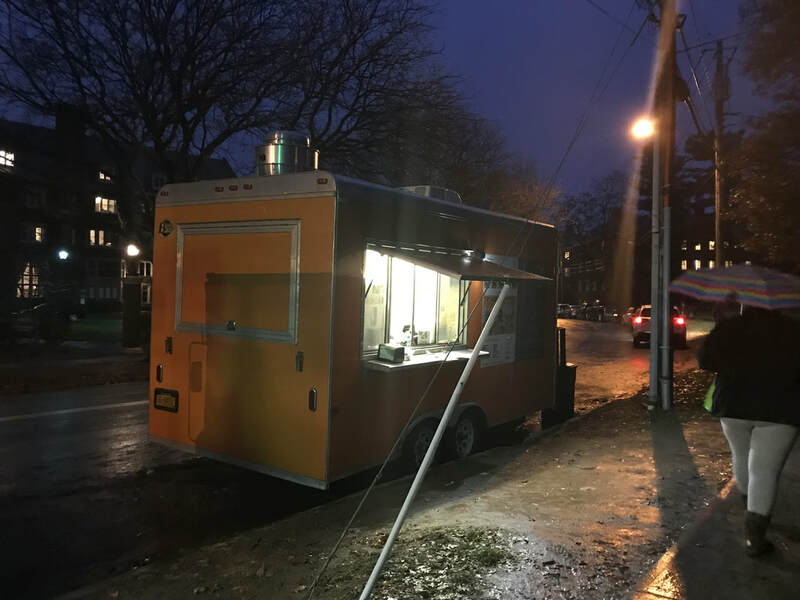 Despite the fact that these trucks are completely different, they both face problems specific to running a restaurant out of such a small space. That's How I Roll and Louie's Lunch each have extensive menus that have more items than some small restaurants. Beck said that it's challenging to manage his huge menu in a tight space. Beck has a few employees working during peak hours and said that he worked out the kinks so the employees don't crash into each other while trying to keep up with the heavy flow of customers. Ithaca may have a lot of sushi restaurants, but ​That's How I Roll is the only sushi truck in the city. The type of restaurant makes this truck distinct, but so does the style of the sushi. That's How I Roll is known for their sushi burrito, called the "mega maki." Because of this, the truck has two unique things to draw in customers. That's How I Roll's one of a kind menu is appealing to people, but so is Louie's Lunch's classic menu. 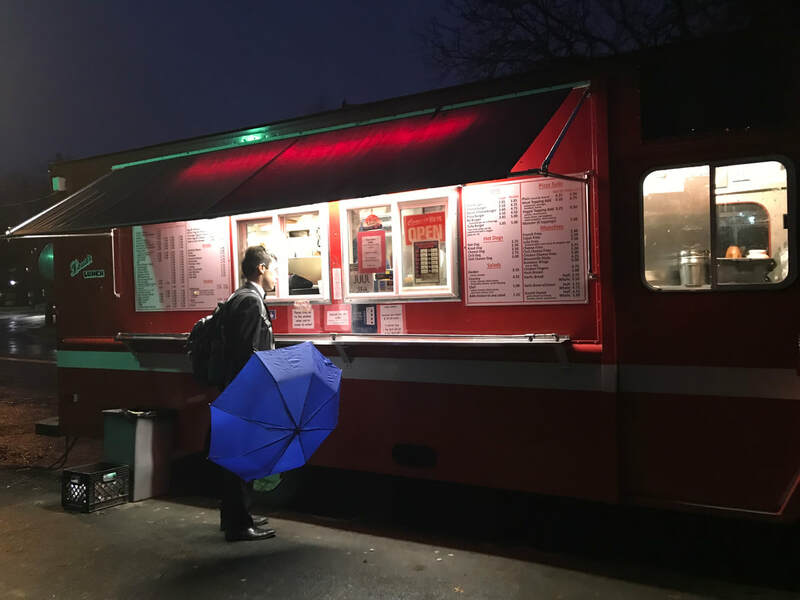 Beck said that when the business started 100 years ago as a pushcart, the menu was similar to the one the truck has now. "We get a lot of alumni back, and of course they want the same thing they had when they were here 20 years ago," said Beck. When Beck purchased the truck 21 years ago, the menu was much more limited than it is now. He's added new items and even put student-made sandwiches on the menu. As demonstrated by Louie's Lunch, food trucks have been successful for decades. While having a customer base that's been building up for years, That's How I Roll shows that new trucks can still enter the game and gain success.